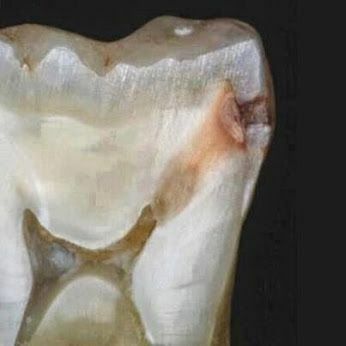 In this photo: A cavity has formed on tooth and decay has reached all the way to the vitality of the tooth (the pulp) and is no longer healthy and will need a root canal treatment or extraction. By learning these simple tips, you can prevent cavities on your own. We want the absolute best for our patients, and that means providing you with all the tools you need to build excellent oral health. Habits like smoking, and eating sugars and starches are bad news. Bacteria consume them, producing acids. These acids are harmful to enamel, and erode the outer tooth surface. If these spots continue to develop, they will become cavities. A cavity must be treated by a dentist and cannot be improved on your own. Why do I have plaque? Plaque most commonly builds when patients skip brushing, especially before bed. It’s crucial to remove acids before sleeping for the night when enamel is more vulnerable. Use fluoride toothpaste or rinse – Fluoride will help remineralize teeth that have been eroded by acids. If you get the appropriate amount of fluoride from the right sources, it can only be beneficial for your teeth. Use a fluoridated toothpaste or rinse as instructed. Ask your dentist for product recommendations! Improve your oral hygiene! – Better brushing and flossing will prevent plaque buildup. If you’re already brushing and flossing regularly, check your techniques to make sure you’re brushing more effectively. Be sure to brush your tongue, which is home to a significant amount of bacteria. Essentially, brush 2 x per day, floss 1x per day (before bed). Reduce sugars and starches– Cut out some of the sources of the initial problem. Try to reduce your snacking, as teeth are especially vulnerable to snacks since there’s not as much saliva present to rinse away acids. Prioritize fresh fruit and vegetables, dairy, nuts, and lean proteins for midday snacks. Drink more water – Water not only helps remove oral acids, but hydrates your body and keeps it working properly. Now is the time to swap out your daytime Coke for water, sparkling water, tea, or other non-sugary, less-acidic beverages. 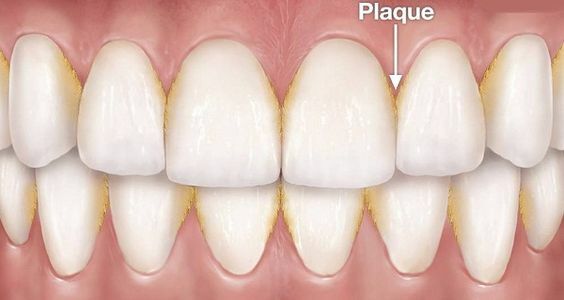 If you’re already experiencing plaque buildup, you may have some calculus. Calculus is hardened plaque which pushes your gum tissues and bone level down. 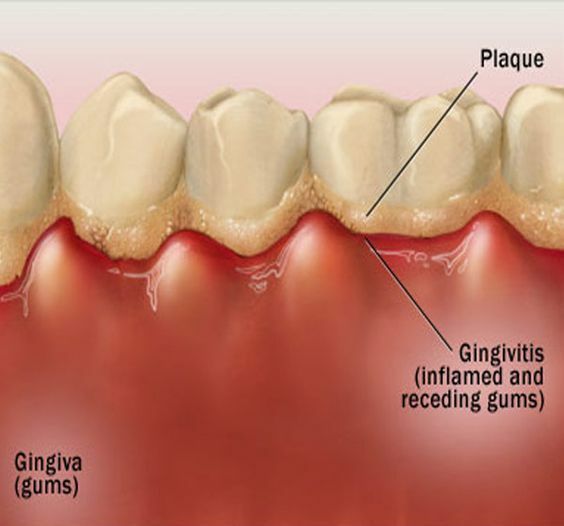 Inflamed gums can develop into gingivitis, which may progress to gum disease. Prevention is the best way to combat plaque and cavities! Follow the decay-reversal tips mentioned above to scrub away plaque and reset your mouth – before decay can take hold. Previous Post:How do I get a Celebrity Smile? 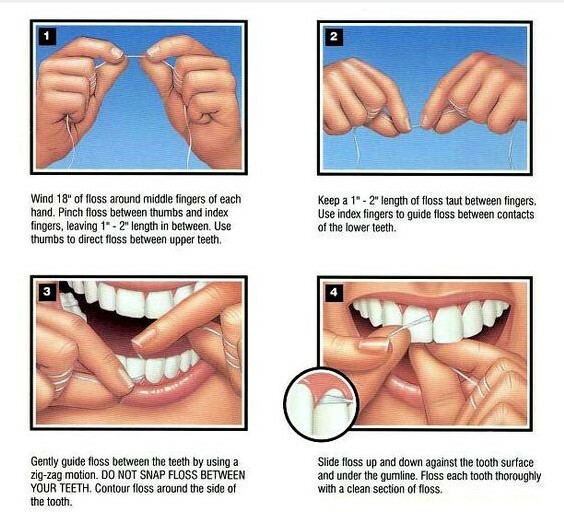 Next Post:8 Unusual Ways to Remember to Floss!